5 Jotas pure acorn-fed Iberian pork shoulder, said "bellota" . Weight between 4-5 kg. Seasoning more than 24 months. 5 J Pure Iberian acorn-fed shoulder known in Spain and abroad as "bellota". 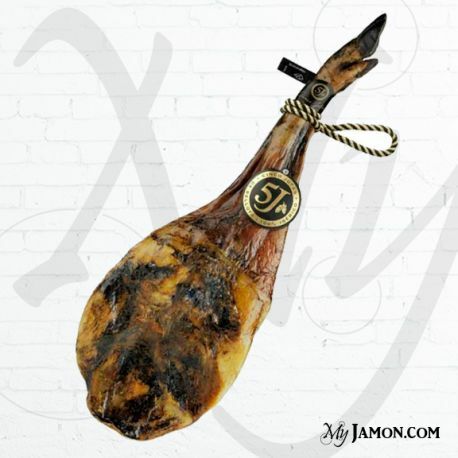 It is processed with the front legs of the Iberian pig reared in total freedom into the grounds of Sánchez Romero Carvajal company. 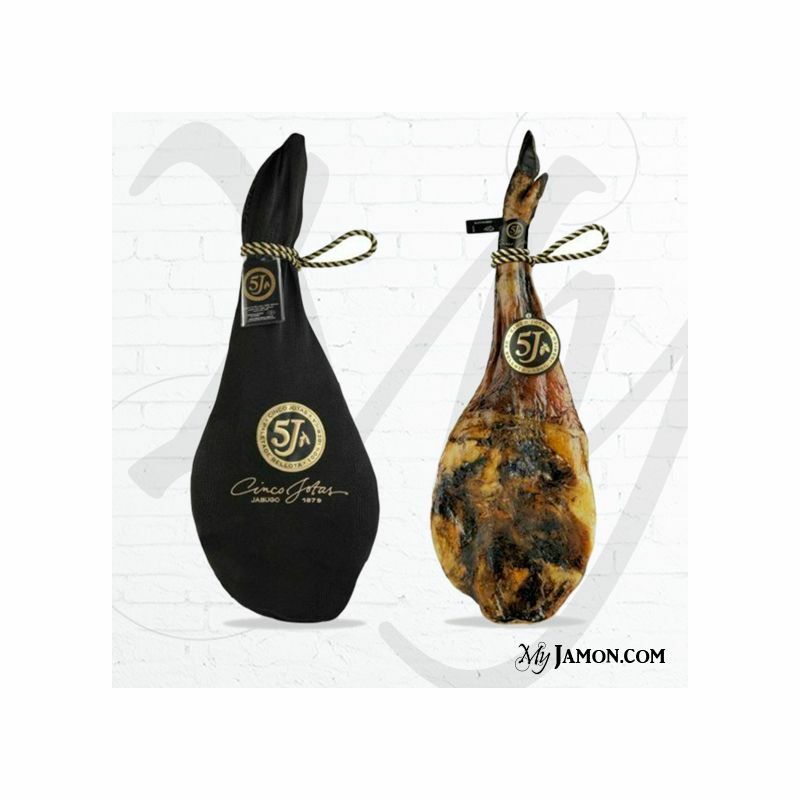 5 Jotas shoulder could be a wonderful gift for any occasion, as an essential food of Spanish cuisine, being without a doubt, the best Iberian acorn-fed shoulder on the market actually. The traditional work of Sánchez Romero Carvajal family, ensures that this shoulders are special products and the most famous in the world. The 5 J acorn-fed Iberian shoulder is also an healthy product, in which we find all of the fields nuances, from the smells of wet earth to the intensity of the flavor of acorns and various natural herbs. With a seasoning of more than 24 months, 5 J shoulder is rich in oleic acid and it comes from a company that has 130 years of experience in the field. 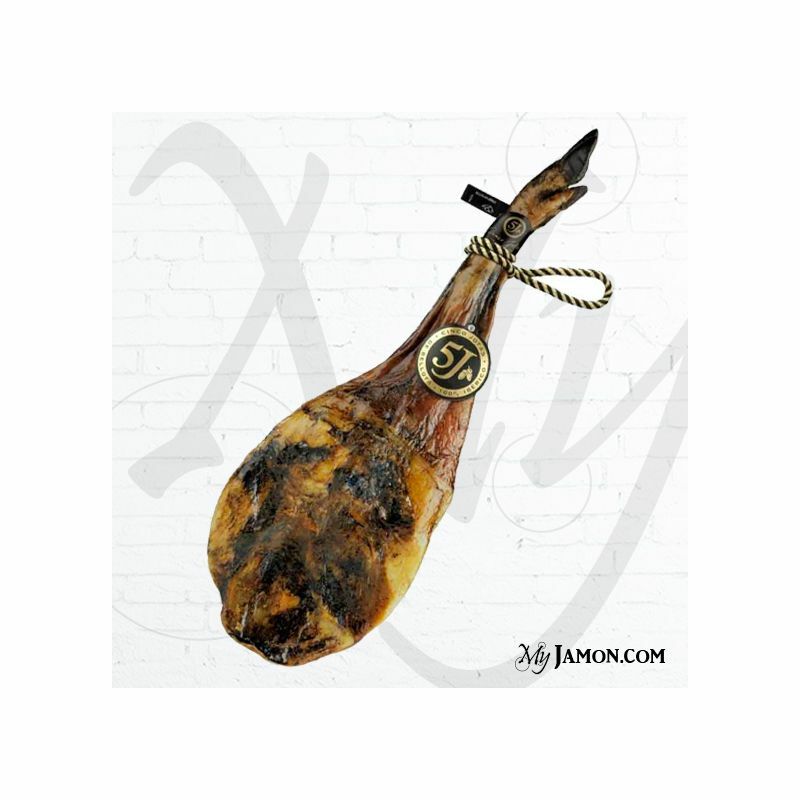 We must say, when you buy this kind of product, that comes from a 100% Iberian pig race, generally it has fat on each piece, certainly it has more fat than “cebo” ham or “Serrano” shoulders, but the meat has an indescribable intense flavor.